Flipsaw App for Windows 8 is a puzzle app for Windows 8 and it can be obtained from Windows 8 app store. This app gives you a puzzle book like feel, and lets you complete picture puzzles. As we all think that Windows 8 is very difficult to operate but it’s actually not true. Windows 8 is very ease to use; only you have to spend some time in understanding it thoroughly. After that it becomes as easy as any other Windows, like Window 7. There are many apps which are already installed in Windows 8, such as messaging app, Windows 8 mail app, Windows 8 photo app and many more. Apart from these, there are many other apps available in Windows 8 App store, and Flipsaw App is one of them. Flipsaw App is a puzzle game which is especially prepared for the users of Windows 8. As I mentioned in the beginning, it is a picture puzzle game. When you start this game, it shows pieces of a picture in jigsaw manner. At the Left side of the puzzle, it shows how the completed piece should look. You need to move around the pieces so that you can complete the picture puzzle. The pieces can be moved sideways, or vertically. You cannot move the pieces diagonally, and that’s what adds the complexity to it. You can also create your own picture puzzle by providing your own picture. It is systematically designed into four parts and they are Quickflip, Load Game, Flip Stats, and Let’s Flipsaw. Flipsaw Stats: You can select a format for game like 3*3, 4*4, 5*5 and so on, up to 10*10. You can do additional settings like reset, pause, save with a single right click on quick flip. Load Game: This option lets you get back to your saved game. Let’s Flipsaw: This option enables the user to create their own puzzles by following a simple process. Users can also save their created puzzles on load game with a single click on save option. However, i did not like a thing about Flipsaw App is that it does not allow you to move in crossword direct. It only allows you to move in a straight direction which makes a puzzle very complicated and a challenging task for the users to solve the puzzle quickly. This is a free picture puzzle app for Windows 8. Enables you to create your own puzzle. Facilitate additional settings like reset, pause and save. Enables you to select a suitable category according to your choice. Enables you to view your save games and created puzzles on load game option. Completely free, and available in Windows 8 App Store. 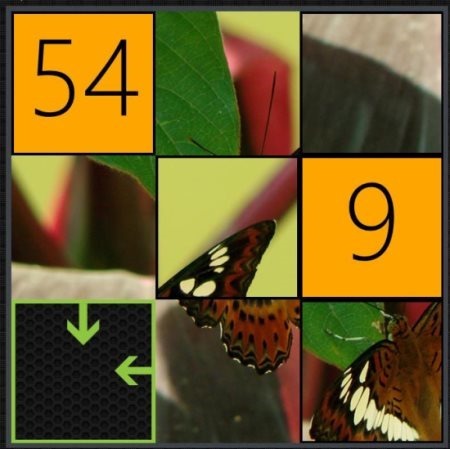 Flipsaw App is an awesome picture puzzle app for Windows 8 users. Try out this free puzzle game from Windows 8 App store, and have fun. Just go to Windows 8 App Store, and search for Flipsaw app.